Dark Phoenix isn't tracking for a heroic opening weekend at the box office. This movie is going to be the last in this version of the X-Men franchise, which has been going ever since the first live-action movie was released in 2000. And, technically speaking, the continuity has never been totally reset, making this a rather amazing run for a franchise. Unfortunately, it may not wind up being the send-off, financially speaking, that this franchise probably deserves. According to an early tracking report, Dark Phoenix is looking at an opening box office weekend of $40 million on the low end and $55 million on the high end. Yes, that's a pretty wide range, but that's not terribly uncommon when it comes to tracking, especially this far out. Also, it's worth noting that this is just an early figure. Things could change a lot between now and when the movie is actually released this summer. That said, there are reasons to believe this number may not be that far off and, if this holds, even on the high end, it could set a new record, and not a good one, for the franchise. Currently, the lowest openings for X-Men movies are held by the first 2000 movie, which earned $54 million on its opening weekend, but that was nearly 20 years ago and, when adjusted for inflation, it's a solid number. The lowest is 2013's The Wolverine, which managed just $53 million when it came out. But that was a solo character spin-off movie that was following the much-maligned Wolverine Origins movie, so it was fighting a major uphill battle. It's also worth pointing out that the last movie, Apocalypse, was met with a lukewarm reception. Up to this point, not all has gone well. This movie started its life at 20th Century Fox, under the direction of longtime franchise writer/producer Simon Kinberg, who makes his feature directorial debut. 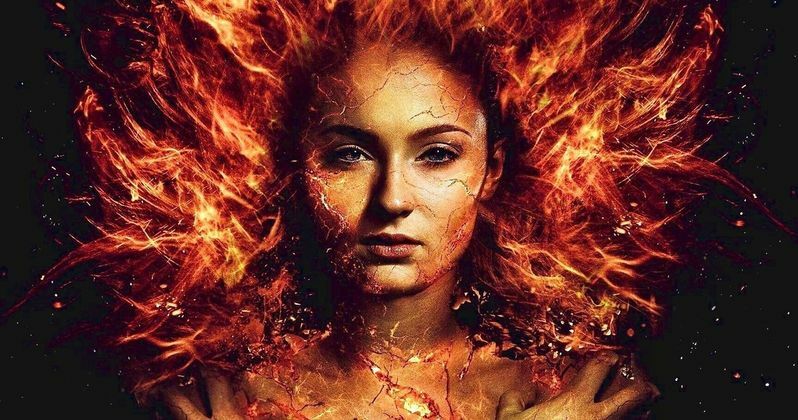 Dark Phoenix has had to undergo major reshoots and there was a ton of negative buzz in the rumor mill surrounding the movie. Now, it's in the hands of Disney, since the merger was finally made official recently. But Disney merely inherited the movie and they're just going to release it as is. The question right now is just how good (or bad) is it? Early footage that has screened at WonderCon and CinemaCon has been received quite well. But studios can just show off the best they have to offer in those situations. Really, a lot is going to ride on how critics respond. If they're surprisingly high on this re-telling of the Phoenix saga, then it could encourage more fans to rush to theaters on opening weekend. If the response is as bad as some are expecting, it wouldn't be surprising to see this movie land on the low side of those projections. Dark Phoenix is set to arrive in theaters on June 7. This news was previously reported by Box Office Pro.